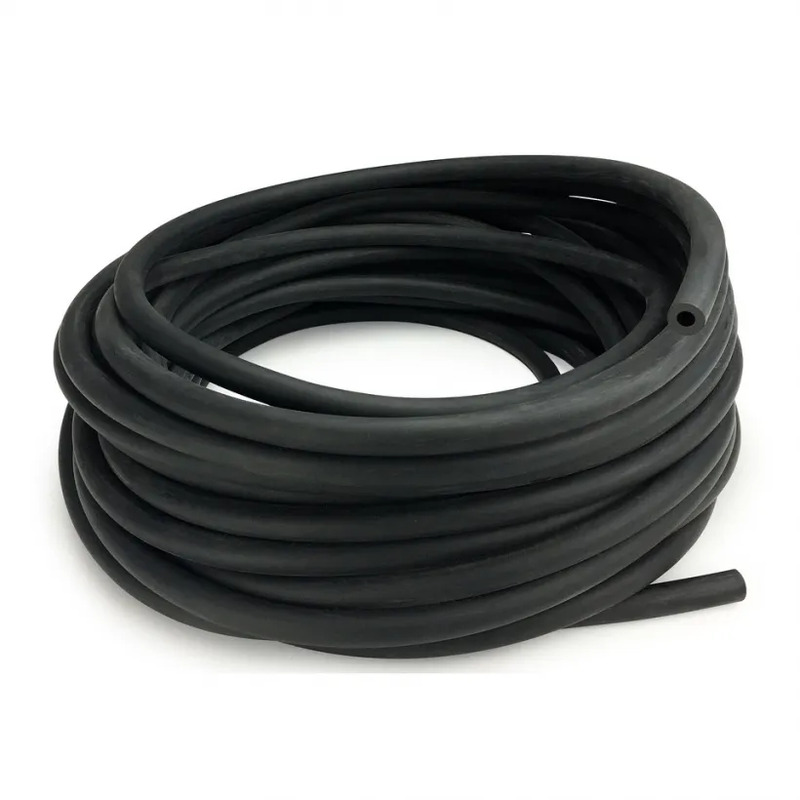 Weighted Aeration Tubing 3/8" x 100' - Aquascape, Inc.
Aquascape 3/8 Weighed Aeration Tubing is the ideal aeration tubing for installation in most ponds and water features. Many types of aeration tubing will float to the surface of ponds, exposing the unsightly tubing. Installing Aquascape Weighted Aeration Tubing will keep pond airline tubing out of sight at the bottom of the pond without the use of weights, improving water feature appearance and significantly reducing installation time. Constructed of thick-walled, puncture resistant, extruded PVC, the tubing will not kink and is flexible, even in cold weather. The smooth interior reduces friction to maximize airflow and reduce system pressure requirements. Aquascape self-sinking, weighted tubing is UV-resistant, lead-free, fish-safe, and black in color to disguise it on the pond bottom. The tubing has a 3/8 inside diameter, .69 outside diameter, a 2 minimum bend radius, and is rated for all temperatures. Aquascape Weighted Aeration Tubing is proudly made in the USA. Aquascape is passionate about the products we produce, providing unique products, designs, and features that stand above the competition.